Incrediwear Outdoor and Trekking Socks keep your feet warm, dry, and comfortable in any punishing environment. Incrediwear hiking socks are designed with the outdoor enthusiast in mind, and are ideal for trekking, endurance events, and working outdoors. 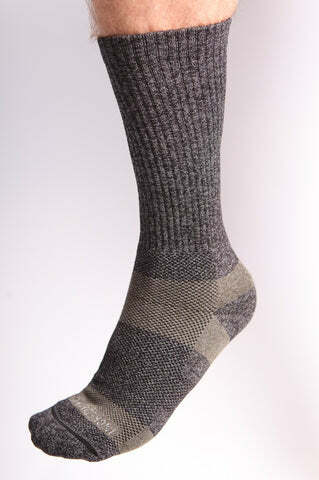 Incrediwear Outdoor Socks increase circulation, which reduces swelling, and soothes tired feet. Antimicrobial and moisture wicking properties add to your comfort. Incrediwear Outdoor Socks can be worn for long periods before they require laundering, making them an excellent hiking sock for travel and outdoor adventures.